7-Year-Old Girl Died in Border Patrol Custody After Journey to U.S.
A seven-year-old Guatemalan girl died "of dehydration and shock" after she illegally crossed into the United States with her father and was taken into custody by U.S. Customs and Border Protection, the Washington Post reports. Details: The girl and her dad were taken into custody on Dec. 6 in New Mexico, and more than eight hours later she began having seizures. Her body temperature was 105.7 degrees, the Post reports, and CBP told the Post she "reportedly had not eaten or consumed water for several days." CBP spokesman Andrew Meehan told the Post that border agents "took every possible step to save the child's life under the most trying of circumstances." 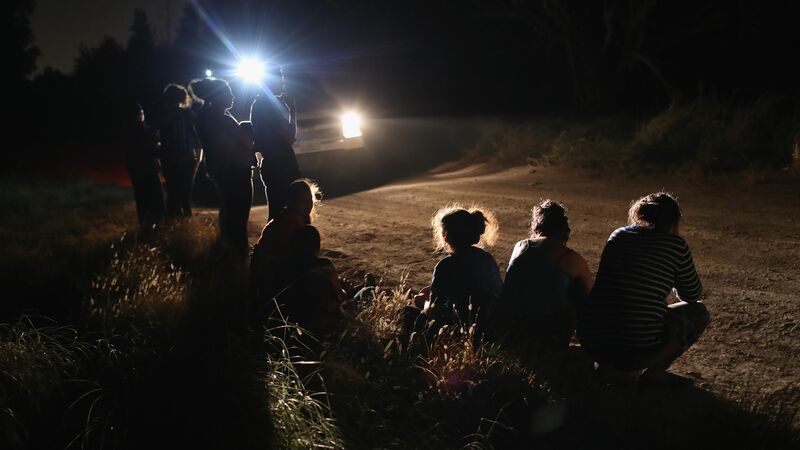 By the numbers: The Post reports that Border Patrol has arrested 25,172 "family unit members" along the Southwest border. 58% of people taken into custody in November along the border were "part of a family group." What's next: The girl's father is waiting to meet with Guatemalan consular officials, per the Post. CBP is waiting for an autopsy of the girl which should be available in several weeks.